No monetary award of any amount actually "makes one whole" after the wrongful death of a loved one, especially violent death by police who are paid to keep the peace in society and protect people and our property. However, since no one can restore life, we congratulate Fullerton, CA for doing what is right and paying damages to Kelly's family. The murder of my own brother, Larry Neal, continues to be dealt with differently - a cover-up conspiracy that has endured for nearly nine years, with attempts made to censor and persecute his family for refusing to join in the cover-up. When people are killed after arrest rather than in public and on video, like Kelly was, those murders are frequently subjected to cover-ups rather than justice. If the six officers had put Kelly in their police car and transported him to jail before beating him to death, would his family have been dealing with an elaborate cover-up today rather than open disclosure and restitution? That is often the situation in jail deaths. See WrongfulDeathOfLarryNeal.com . 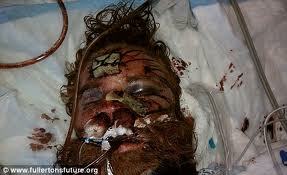 Mentally or physically challenged people like Kelly Thomas and Larry Neal are as important as any other person. Every life is precious in the sight of God, and all people deserve to have their human and civil rights honored and protected. 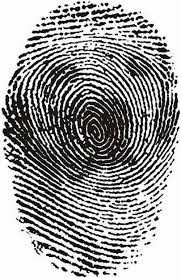 Affirming that truth is the point of this blog and Assistance to the Incarcerated Mentally Ill (AIMI) at http://www.care2.com/c2c/group/aimi . Strangely, dogs have more rights than some people do. Cops to Be Tried in Alleged Fatal Beating of Homeless Man Caught on Video http://youtu.be/yn8CE5ISUSw - "Manuel Ramos, a police officer from Fullerton, California, has been charged with second degree murder for allegedly beating a mentally-ill homeless person to death last year. His co-worker, Officer Jay Cicinelli, faces charges of involuntary manslaughter and excessive use of force. This video from a surveillance camera shows Kelly Thomas, the victim, pleading for his life while the officers beat him on the street." Murders and abuses by police officers should be dealt with in the same way as those crimes are by any other persons. Authorities must stop helping to cover-up abuses of power. That would improve relationships between police departments and communities they serve and improve the work environment for honest peace officers who often feel conflicted regarding their sworn oath to serve and protect as opposed to going against the "brotherhood" and reporting crimes by their co-workers. While animal rights have been strengthened over the past few years, the rights for mentally ill people are too often ignored. Thank you for your interest in awarding Dog Justice for the Mentally Ill.
Mary Neal, director of Assistance to the Incarcerated Mentally Ill (AIMI) and Dog Justice for the Mentally Ill Program, and the members of this organization object to police brutality and request conviction of Kelly Thomas's murderers. This article has the Kelly Thomas beating video embedded; however, I looked at this article from other computers and did not see the video. Cyberstalkers seek to hide the mass incarceration and murders of mentally ill people in America. The video is at YouTube at this link http://youtu.be/yn8CE5ISUSw - Please share the link in your groups. Congratulations, Fullerton, CA, for quickly apologizing and paying damages to the family. 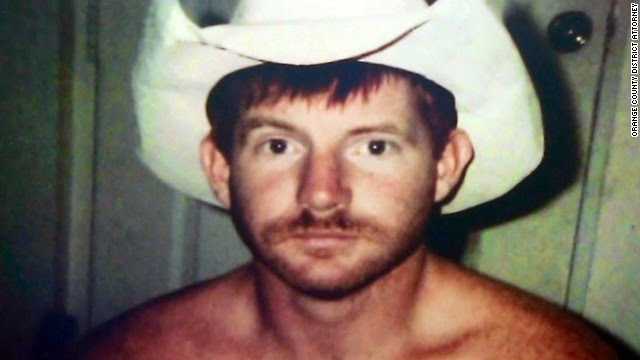 My brother was secretly arrested and murdered in Memphis Shelby County Jail in 2003, and the cover-up is ongoing almost nine years later. In fact, it is why my work is censored.